My name is Cheryl and I live in Maidstone in the county (state) of Kent with my husband Mark. Maidstone is in the south eastern corner of the UK and only 40 minutes away from London. With the Channel Tunnel, we’re also only two hours away from Paris and three hours from Brussels, which is great for us, as we both love travelling. Since we got married in November 1999, we’ve travelled extensively in Europe, taking in Venice, Florence, Rome, Sorrento, Pompeii and Herculaneum in Italy, huge parts of France, Spain and Switzerland, Brussels in Belgium, Berlin and Dresden in Germany, Amsterdam in Holland, Dublin in Ireland, Oslo in Norway, Stockholm in Sweden and Helsinki in Finland, just to name a few places! Living in the UK means I don’t get to travel to Disney as often as I’d like, but something I'm very keen on is telling everyone over on this side of the pond how wonderful Walt Disney World is. That's why I'm delighted to be the author of PassPorter's Walt Disney World for British Holidaymakers, which contains everything you could want to know about heading to the "World" from the UK. Because it’s a nine hour flight to Orlando for us, when we do go, it tends to be for a minimum of two weeks at a time, which allows us to fully explore all the parks and enjoy Disney’s many wonderful restaurants. To me, the huge variety of places to eat is one of the best things about Disney World, which is why I'm delighted to be one of the guides of the Eateries forum. What a great excuse to eat my way around the World! I first traveled to Disney World in 1981 as an eight year old with my parents and even then I was hooked. My parents then took me back six years later and we also visited Disneyland in California. I wanted to stay on property as a kid, so Disney World was the natural choice for our honeymoon and we’ve been going back every year or so ever since, with the trips to Disneyland in California whenever we can and some of America's great cities, such as Washington DC, San Francisco, Boston, Las Vegas, Philadelphia, Chicago, New York City and Charleston thrown in! We also love visiting America's national parks and have experienced the beauty of as varied places as Yellowstone, Bryce Canyon, Death Valley and Yosemite and we hope to visit many more in the future. With the many travels we've made around the States and Europe and also extensive visits around the United Kingdom and especially to London, I'm also delighted to be a guide for the Globetrotting and Globetrotting Trip Reports forums. Add in a few visits over the Channel to the Disneyland Paris Resort and hopefully I'll be able to help with your questions about that destinations as one of the guides of that forum. 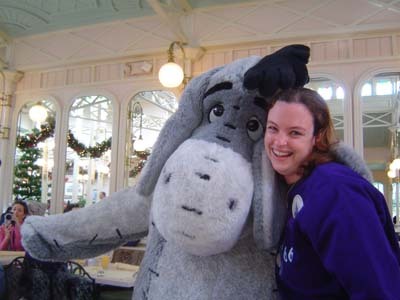 I also love reading other people's trip reports and encouraging people to try out the West Coast as well as the East Coast, so I'm really pleased to be a guide in the Disneyland Trip Reports forum. As we love Disney so much – and in particular the Beach Club – we became DVC members in December 2002 with our home resort as the Beach Club Villas. Since then we've added points three times at Saratoga Springs and twice at Animal Kingdom Lodge Villas, as the points we bought originally weren't enough for all the trips we kept taking! 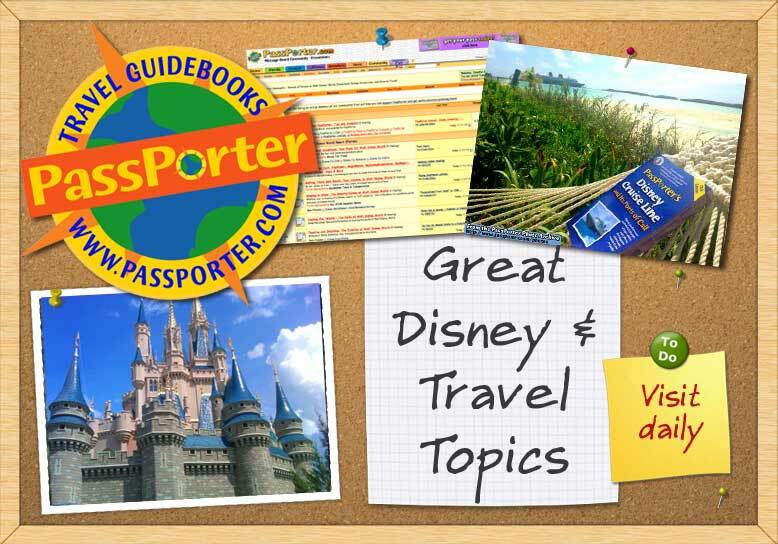 Buying into the DVC was one of the best decisions we’ve made and as one of your guides to the DVC forum and the co-author of PassPorter's Disney Vacation Club Guide, I hope I’ll be able to help with any questions about being a member of the DVC. Last edited by chezp; 05-31-2013 at 12:33 AM..